My inbox, often I am distracted by running around trying to put out fires that have come through my inbox from my client, team or customer service. So how exactly do we STOP these hotspots? There is no way to have control over what comes through your inbox, nor a project taking longer than expected, right? Well.. not exactly. See the key to stopping the arrows really starts with the 3rd activity.. lack of planning. Another favorite quote of mine is ‘if you fail to plan, you plan to fail’. This is so true! If you plan out your day, week, month this allows you to create structure around completing your expected tasks. Here is how this works. If you have planned to check emails 3 times a day and are giving yourself 30 min per email time, you may need to consider creating some templates to have as quick answers to general questions, instead of answering every single email to your client it might work better to list out all the concerns of the day and send a summery with your answers at the end of the day (or make yourself available through IM for a certain part of the day, if your client is respecting your boundaries).. planning ? You can do the same with projects.. did you know that there are certain times of the day that you will actually be able to function at higher points of productivity? I could do the same project at 10am or 10pm and I will do it better, faster and with greater productivity at 10pm every time… now do I want to be working at 10pm? Not exactly but if I need to tackle a new system or do something that really engages me on multiple levels of concentration I will do it at night. Planning IS THE KEY to stopping fiery arrows! It is also the first step in powering up your precision.. when your day is planned out you have confidence, feel secure, feel in control, all the worry, anxiety and frustration is gone. It creates a safe place for you to work from.. you are no longer ‘being attacked’. I can hear you already, of course, “I know I need to plan better but who has time for that! How in the world can I STOP the arrows from being shot at me if I am running around trying to keep these fires from burning down my barn!” I just want to say I hear you. I really do and I understand the absolute hopelessness that comes from feeling that way. That is why I want to say: go to higher ground. You need to get in a spot where you can SEE all the tasks that need to be completed (many times yesterday) and make an executive decision on what is absolutely necessary and what can be put in the ‘planning’ field. If you are down in the middle of it all you will never be able to see everything.. sometimes we think there is a forest fire raging when it is really a spark or vice versa. You will only know if you get to a place where you are seeing the big picture. Here’s how this works: stop everything you are doing RIGHT now and list out everything that needs to be done. I like to call this a brain dump.. and I am talking everything, for all clients, personal stuff, household stuff, lump it all into one big mega list. Now can you see it? Put a 1-4 beside each thing, 1 being burning down the barn – 4 being planning field. Now that you can see them you can extinguish them. Something to consider: you may need temporary assistance to protect your barn. If that is the case you have 2 choices – you can ask/hire help, or delay all projects until these fires are put out. This step is all about laying out a precise way in which you are going to manage the current task load. I am often told by a dear person in my life that “you have to eat an elephant 1 bite at a time” and the truth of the matter is if your wildfires are raging, you can likely only put out 1 at a time. Unfortunately, what I have seen happen so many times is folks will throw a little water over here, a little water over there, and never actually PUT THE FIRE OUT. When this occurs you end up with a lot of smoldering flames.. which are just fires in waiting and can be very dangerous… so you must power up your precision and do all that it takes to put out each fire based on it’s true priority. Now that you have STOPPED the fiery arrows, and extinguished the wildfires it is time to set up a strong foundation and protection around your barn. Yes, I am talking about structure or better known as processes. If you have solid processes up for all the fiery arrows (email templates, steps on how-tos for projects, scheduling planning times) you will minimize the wildfires greatly. 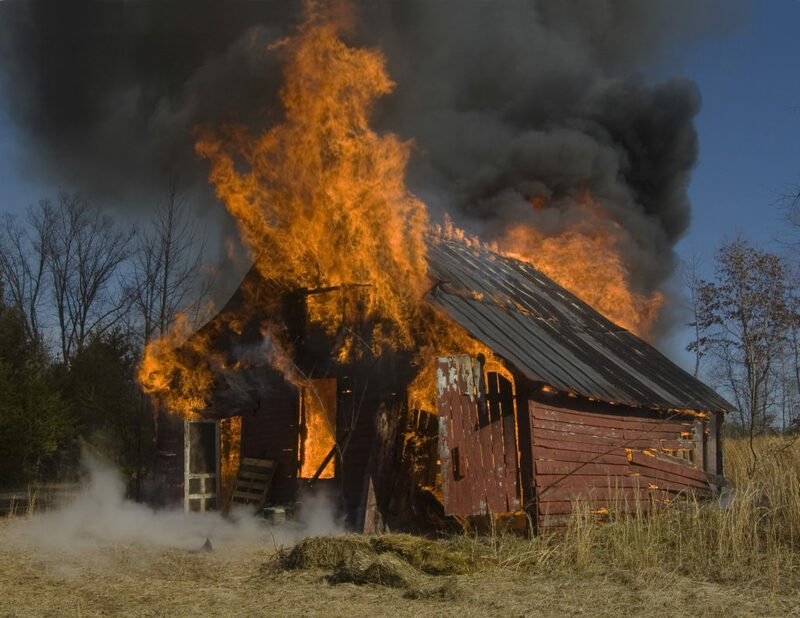 Unfortunately, if we have been under the fire for several months or for extended periods of time there may be some renovation or restoration that needs to be done to the barn to ensure it’s continued safety. This may look like cleaning out your virtual office, moving old projects to archive and making sure you have fresh eyes on new ones, you may need to write a few processes of new systems or procedures you have been working on, you may need to hire/fire a team to get the results needed to keep the barn safe. All of this is summed up like this: To power your precision you need to: Plan, Prioritize and Process… I know I could have just told you that but the barn analogy was so much more fun!